MNML and Inventables first connected through Chicago’s maker community, so it was apropos when we came together to collaborate on Carvey. Combining our expertise in product design and Inventables knowledge in mechanical design, Carvey came to life. A tabletop 3D carving machine that gives the user the power of making, right from their desktop, Carvey is the next step in 3D manufacturing. 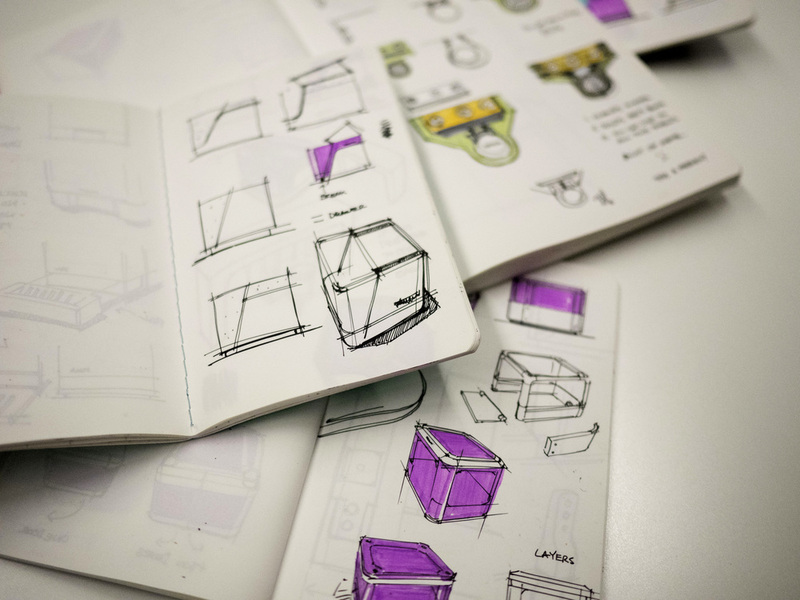 When designing the hardware for Carvey, we considered the overall user experience and set out to make the process of 'making' easier and more inspiring. Since Carvey was created with everyone from artists and teachers, DIY 'makers', design professionals and engineers in mind, we wanted to create a design that was entirely functional, with a beautiful, clean, understated aesthetic. The machine needed to be something that the you would want to put on your desk. The form was inspired by the pure proportions and rectilinear forms of high-end audio components and hints at the quality and precision within. The core architecture is an extruded aluminum frame with precision miter cut corners. A unique four-sided door opens vertically, clearing critical desk space and allowing unobstructed access to the cutting area inside. The large wraparound window maximizes visibilty and lets the user watch their creation evolve from start to finish and from almost any angle. A skylight on the top of the door lets in natural light and gives you a bird’s eye view of the action. The user experience was designed to be as quiet and clean as possible. With the door closed, the system is entirely sealed. It creates a barrier from noise and keeps cutting debris from getting into the studio. Carvey is at home in the studio or office environment. It doesn’t have to stay buried in your shop. 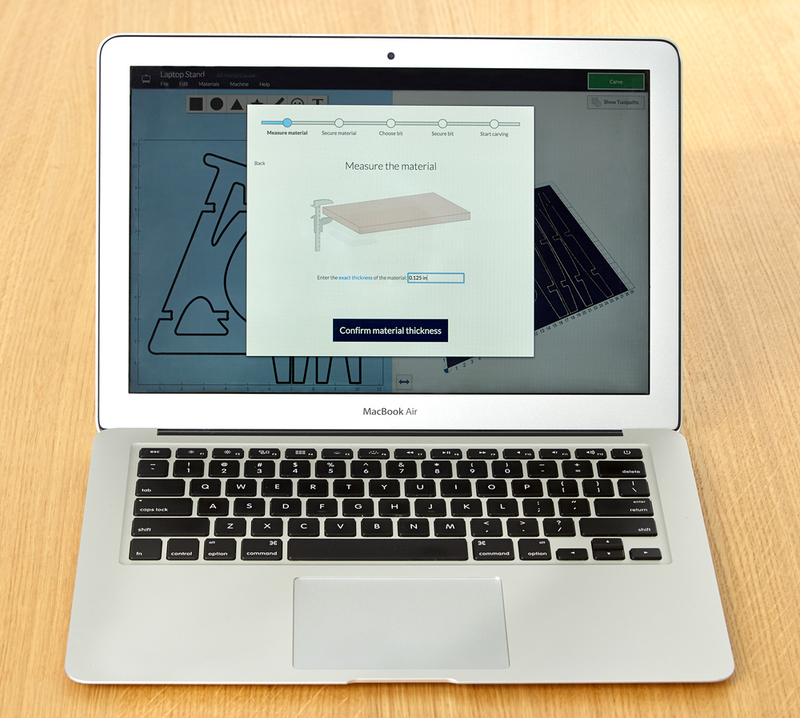 Carvey runs seamlessly with Inventable’s Easel software. It’s intuitive web based interface makes it easy to go from idea to real parts without previous CAD experience. Easel also takes care of the technical aspects of carving and allows you to focus on what’s important, creating your vision. This is just the beginning of desktop CNC at MINIMAL. We have used Carvey to make toys, ping pong paddles and even many prototypes. It is becoming an every day tool in our design process.